Boğaç A. Ergene received his Ph.D. degree from the Ohio State University in 2001. He is a Professor of History at the University of Vermont. Ergene is the author of Local Court, Provincial Society and Justice in the Ottoman Empire: Legal Practice and Dispute Resolution in Çankırı and Kastamonu (1652-1744) (Boston and Leiden: Brill, 2003), co-author of The Economics of Ottoman Justice: Trial and Settlement in the Sharia Courts (Cambridge: Cambridge University Press. 2016), and editor of Judicial Practice: Institutions and Agents in the Islamic World (Leiden and Boston: Brill, 2009). 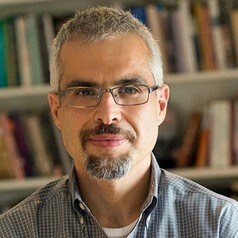 In addition, he published articles in major history, law, and economic history journals, including International Journal of Middle East Studies, Journal of Economic History, Economic History Review, Journal of Family History, Journal of Interdisciplinary History, Law and Social Inquiry, Islamic Law and Society, and Continuity and Change. He is the co-editor of the Ottoman Empire and Its Heritage, a Brill Publishers book-series on Ottoman and Turkish History.